Markings: Marked (recto and verso) with the collection mark of Sir Thomas Lawrence at lower right. Taddeo Zuccaro's design for a metal circular dish or salver assured that dining would be a surprising and humorous experience. The sea monsters along the border fight and embrace each other. A large bearded head, possibly Neptune, gazes up from the bottom of the bowl as if from the ocean's depths, only making himself known as the vessel's contents are emptied. Here Zuccaro explored the problem of accommodating active figures within a circular frame. The reclining female figure at the top shares certain features with the sibyl on the verso. 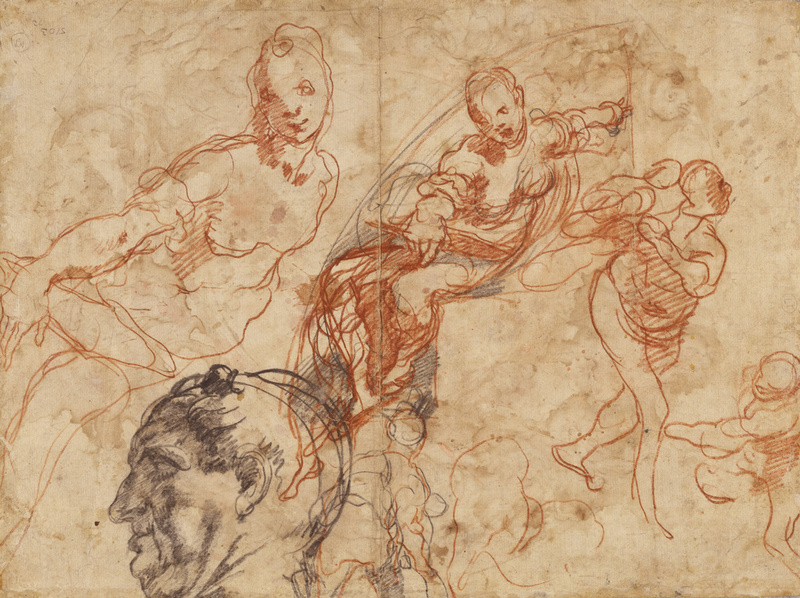 In exploring his ideas, Zuccaro flipped the paper over, proceeding naturally from one project to the other. Whether completely spontaneous or more finished, energy and expressiveness characterize his line. 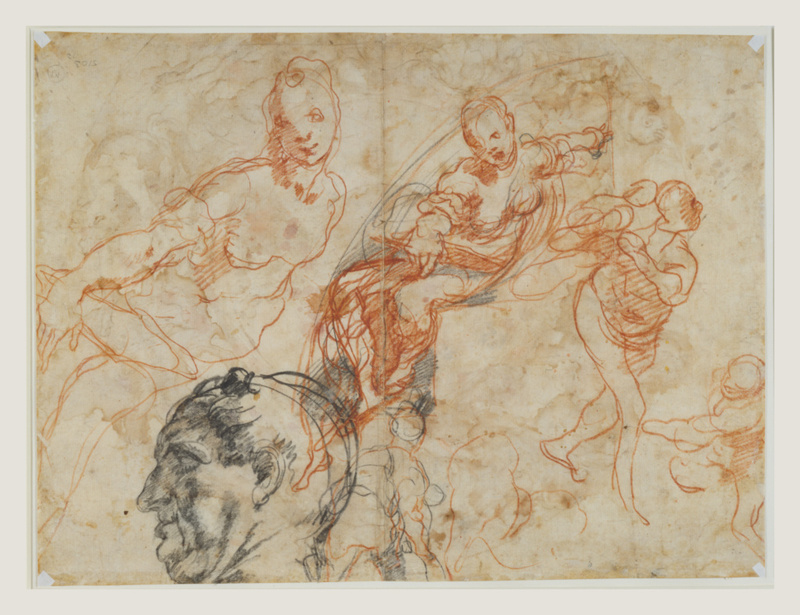 The studies on the verso are connected with decorations that Zuccaro completed in a Roman chapel in 1556. Despite their sketchy appearance, he probably drew them at a late stage in the design process because they correspond closely to figures in the fresco. The female figures served as studies for a sibyl in the round lunette above the altar.